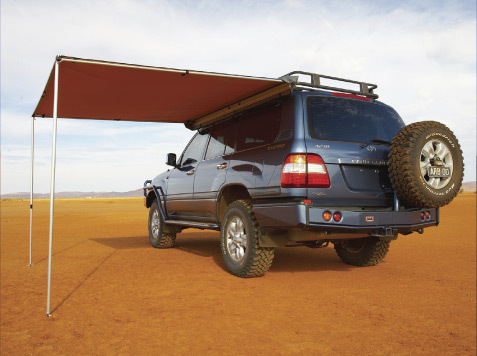 A rooftop tent means sleep-easy camping. 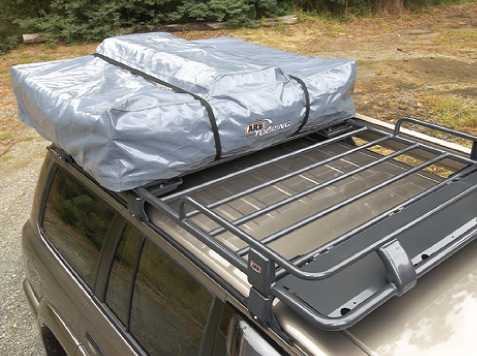 Spacious and comfortable, it contains all bedding during travel which frees up storage space in the vehicle, and can be mounted on a number of angles for optimum versatility. We don't just sell ARB rooftop tents at Cruiser Outfitters, we use and abuse them. Last year we spent nearly 50 nights in a roof top tent. We are confident in our ability to sell you the right tent for your needs. 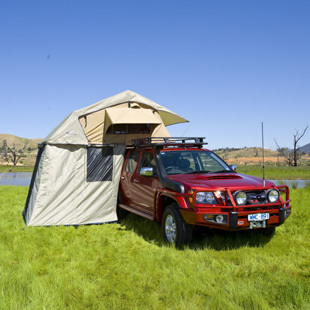 A rooftop tent is cheaper and easier to carry than a camper trailer, and is ideal for overnight stays or extended travel. 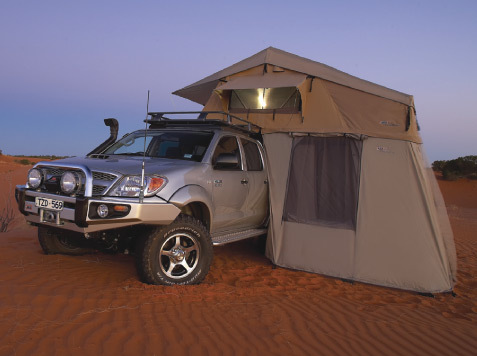 With the ability to leave items such as sleeping bags, pillows and blankets inside of the stowed tent, camp setup just became that much easier. Literally a 5 minute setup from the time you park your rig until your ready to climb into bed. No more searching for flat, level ground. Forget the days of fumbling with poles in the wind. Set it and forget it. Size closed: 55" x 47" x 15" / Size open: 55" x 94" x 52"